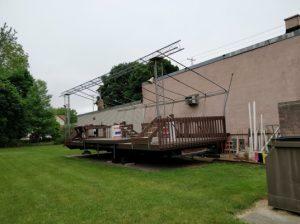 Dewitt Ox Roast has the following projects underway and help is needed! If you are available to assist in any of our projects please click the contact link and let us know! Join Sam Fitzgerald of Scout Troop 77 in rebuilding the new Main Stage!